Lower lumber production and slowing log exports to Asia resulted in generally lower sawlog prices in both the US and Canada in the 3Q/14, according to the North American Wood Fiber Review. The biggest price declines were seen in the US South and in the Interior of British Columbia, where prices were down 3-10% from the 2Q/14. Seattle, WA, USA, March 04, 2015 — Sawlog prices were generally lower in the 3Q/14 than in the same quarter in 2013 in most of the major log-consuming regions of the US and Canada, according to the North American Wood Fiber Review. When Bruce Germyn first heard a bang he knew something serious had happened. A then six-year employee, Germyn was working the edger on the west side of the main floor at Lakeland Mills sawmill when, just after the 9:30 p.m. lunch horn went on the night of April 23, 2012, a massive explosion ripped through the operation. “I could feel the whole floor and building shaking,” Germyn said. He looked up and saw “curtains of sawdust” raining down from the beams and sprinkler system above. Then he looked back and saw a fireball coming towards him. “The only way I can describe it was I went into slow motion and I literally could see the flames flickering and dancing,” Germyn told a coroner’s inquest on Thursday. A critical deadline looms for the troubled Meadow Creek Cedar forest license. By March 31, all obligations except actual planting of trees must be met, otherwise the province could again issue a cancellation notice. The license, suspended in November for the second time since 2012, was on the brink of being cancelled last year when owner Dale Kooner worked out a deal to sell it to San Group of Surrey. The company paid off $150,000 in accrued debts and “substantially met” a remediation order. Testifying Wednesday at a coroner’s inquest into the incident, a worker in the Lakeland Mills sawmill described a marked difference in dealing with sawdust since the facility was rebuilt following the explosion nearly three years ago that killed two men and injured 22 others. Wayne Cleghorn, a slasher and debarker operator, said almost everything is now enclosed “so there is very little sawdust everywhere,” and if the baghouse is down, the mill automatically shuts down so that no lumber can be processed. He said that has happened a number of times since the sawmill returned to operation. Like a vacuum cleaner, dust is sucked up and sent through to the baghouse. An electrician who survived a fire at a sawmill in Prince George, B.C., has described a scene of chaos after the facility’s beams began to shake and a massive explosion erupted, killing two workers. “I blinked and then the whole damned world was different,” Don Zwozdesky told a coroner’s inquest Tuesday. He said a ball of fire at Lakeland Mills knocked him onto the catwalk. When he and a co-worker tried to escape, a door wouldn’t budge because the sawdust had piled so high. They found another door and got outside, where they saw a compound littered with “campfires” of burning debris. Firefighters were working into the night on a blaze that forced the evacuation of the Alberni Pacific Division sawmill Tuesday, leading to a WorkSafe BC investigation into how the fire could have been prevented. The Port Alberni Fire Department was alerted at 4:34 p.m. Tuesday as smoke flowed from the Western Forest Products mill on the city’s southern waterfront. Approximately 50 workers stood outside the smoking facility as fire crews arrived minutes after the building’s alarm went off. The incident drew the combined efforts of more than 30 firefighters, including over a dozen members of the Port Alberni Fire Department with three engines and a ladder truck. Nova Scotia’s environment minister says the deadline for Northern Pulp’s new pollution equipment is firm and won’t be affected by a contractor’s decision to pull out of the project. 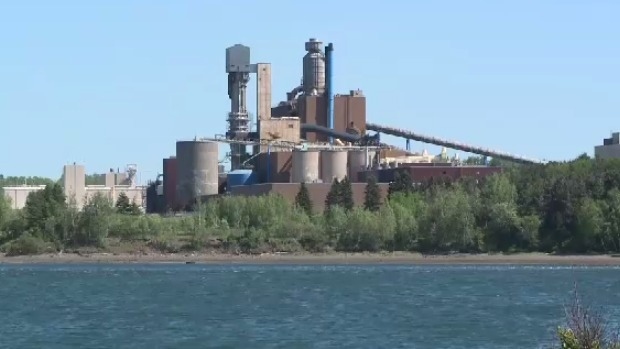 Randy Delorey says the Pictou County mill is still expected to meet the government’s requirements by May 30, otherwise its industrial approval can be suspended or cancelled. Mill manager Bruce Chapman has said the company contracted to install a new recovery boiler precipitator informed the mill last week they will no longer be installing the equipment. Delorey says his department was informed when the contractor backed out but he does not know why it happened. Public opinion in Nova Scotia is blowing very strongly against Northern Pulp’s Pictou mill in Pictou. So it is easy to forget that the company so recently had a long running de facto “social licence” for heedless pollution in service of ekeing out profits at the bottom feeder level of the pulp and paper industry. …The worm turned against Northern Pulp last year after a perfect storm of more severe than usual particulate pollution in the air, and a waste water spill at the Boat Harbour Treatment facility that brought to boil an already very aggravated relationship with Pictou Landing First Nation. The ramp up in the already bad air pollution was a result of years of delays in replacing the old precipitator, and the waste water spill came on the back of years of broken promises to Pictou Landing. MONTREAL – Resolute Forest Products says it will close a specialty paper machine at its mill in Alma, Que., in a move that will see the loss of about 85 jobs. The Alma paper mill employs 340 people with annual production capacity of 350,000 metric tons of specialty papers across three machines. The company says the closure of the paper machine at the mill represents a reduction of 75,000 metric tons of annual capacity. Resolute says it will work with union representatives and government to help the affected employees who may have the opportunity to transfer to other company operations. 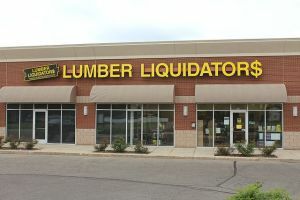 Lumber Liquidators Holdings Inc.’s stock plunge over the past week, fueled by allegations of excessive formaldehyde in its flooring, can be traced back to a blog post from an obscure 25-year-old short seller. Xuhua Zhou, who had dropped out of UCLA’s doctoral program in finance and become an individual investor, took an interest in Lumber Liquidators about two years ago. After seeing a surge in the company’s gross profit margin, Zhou learned that it sourced some products from China. That raised his suspicions that safety might have been skirted in pursuit of lower costs, he said in an interview. MIAMI — A $5 million class-action lawsuit filed this week in Florida accuses hardwood and laminate flooring giant Lumber Liquidators, Inc. of selling products laden with cancer-causing chemicals. The case, filed Tuesday in federal court in Miami, claims the company “deceptively manufactured, labeled and sold the toxic laminate flooring.” A similar lawsuit was filed late last year in California. U.S. Sen. Bill Nelson of Florida, the ranking Democrat on the Senate Committee on Commerce, Science and Transportation, called on federal agencies Wednesday to investigate the Delaware-based company’s flooring. The fourth quarter 2014 brought more optimism about the “health” of Italian wood technology. In the final quarter of the year, orders increased by as much as 20.1 percent compared to the same period of 2013. Furthermore, domestic orders showed the liveliest trend, with a significant 24.7 percent increase, compared to the October-December 2013 period. Good results also for orders from abroad, up by 19.7 percent. This positive figure has generated a climate of confidence and strengthened the feeling that 2015 might be a better year than expected. British Columbia wood works well with concrete, glass, steel, columns and curves. Wood also stands out whether the design is traditional or cutting-edge. All of wood’s attributes and guises were celebrated this week at the 2015 Wood Design Awards at the Vancouver Convention Centre, which features a lot of wood elements as well. Three of the 14 winners are from the Okanagan or have links to a Valley winner. The UBC Okanagan Fitness and Wellness Centre won for small institutional wood design. The centre looks sharp with a wood ceiling and windowed walls punctuated by thin, curved wood columns. One of the trends in real estate construction over the last 30 years has been the use of engineered wood and other lightweight construction materials in the building of the structures that house residences, including apartments, and businesses. The advantages to using these materials – engineered wood trusses and I-joists used to build a house’s roof and floors – are that they are environmentally-friendly and cheaper because less wood is needed to constitute these building supplies. But while this form of construction is completely legal, a tradeoff – highlighted by a January fire in Edgewater, N.J. that, according to The New York Times, displaced more than a 1,000 residents of an apartment complex built using engineered wood and other buildings surrounding the complex – is that fires in structures built using engineered wood spread faster. And the structures themselves are more prone to structural collapse. Mavis Morgan, Paul Schurch and Gene Wengert are the judges for the Eleventh Annual Veneer Tech Craftsman’s Challenge™ and will decide this woodwork design competition that highlights achievement in the use of natural wood veneer, sponsored by face and sheet veneer supplier Veneer Technologies, Inc and co-sponsored by FDMC. Cash awards, no entry fee; deadline May 25 with results announced at AWFS® Las Vegas, July 22-25, 2015. Construction of a 121-unit residential block has started construction in Hackney, north-east London. When completed will be the largest cross laminated timber (CLT) in the world. According to construction-manager.co.uk, the building was designed by Waugh Thistleton Architects for property developer Regal Homes. With 16,000 sq m development, the building includes 3,460 sq m of office space and has a timber structure. The 10-storey building will use 3,852 cu m of CLT, more than has been used on any other project in the world, says the website mentioned above. “We believe that by volume of CLT used it will be the largest building in the world,” says Dave Lomax, project architect at Waugh Thistleton, quoted by construction-manager.co.uk. The Canadian forest products industry now has 43% of the world’s independently certified forests or more than 160 million hectares, which is four times more than any other country. Certified forests means that companies follow progressive social and environmental forest management practices as assessed by an independent third body. This includes prompt regeneration of the forest land, sustainable harvest levels, protection of biodiversity and wildlife habitat and aboriginal engagement. “The environmental credentials of the Canadian forest industry are truly world-leading when it comes to certification,” says David Lindsay the president and CEO of the Forest Products Association of Canada (FPAC). VICTORIA – After an extensive review, acting chief forester Diane Nicholls announced an allowable annual cut of 196,000 cubic metres for the Cassiar Timber Supply Area effective immediately — a decrease of 36% from the 305,000 cubic metres per year set in 2001. Given the lack of mills in the area, limited access and low local demand for forest products, harvesting in the area has been well below the allowable annual cut. The new cut level is about twice the average annual harvest volume in the timber supply area over the past decade and limits the amount of timber in the Iskut supply block to 80,000 cubic metres. VANCOUVER — Native black cottonwood trees in B.C. are at serious risk of catching a killer, non-native fungus unless researchers can figure out how to stop it, B.C. forest scientists say. Black cottonwoods are found along B.C.’s coast and are an integral part of the ecosystem as they improve water quality, provide wildlife habitat and prevent erosion, Richard Hamelin, UBC professor and research analyst with Natural Resources Canada, said. In a recent study Hamelin co-authored, the deadly tree fungus — mycosphaerella populorum — was found to use extra genes to produce a toxin causing fatal lesions on the leaves, stems and branches of poplar trees. The U.S. Forest Service recognizes that it must significantly increase forest restoration work to alleviate threats from wildfire and to improve forest and watershed health, Forest Service Chief Tom Tidwell said. Tidwell spoke at the regional conference of district rangers in Helena on Thursday. He then sat down with the Independent Record to discuss challenges and potential solutions for an agency that has seen funding for many programs drop while needs have continued to climb. “Demands are greater than they’ve ever been for our mission, and we’re doing it with fewer employees. I recognize how difficult it is,” he said. The Global Forest Registry has been updated to align with revised Controlled Wood requirements for risk assessments, however the revised Controlled Wood standards have not yet been finalized and approved. This article intends to explain how the Global Forest Registry and the assessments it contains shall be used for sourcing Controlled Wood, now, and later, during the transition to the revised Controlled Wood Chain of Custody (CW-CoC) standard (FSC-STD-40-005) once it is in force. 3M Co. will take a much harder look at where its paper and pulp products originate after reaching a hard-fought agreement with longtime environmental critic ForestEthics. For the first time, the Maplewood-based conglomerate is requiring suppliers to trace and report the original “forest sources” of the wood, paper and pulp it sells to 3M. The company will then assess those sources against its new policy and refuse to buy any materials from threatened forests. As state legislators continue working on the budget, more details of possible local effects are surfacing. The latest budget cuts under consideration by one House panel would chop 13 state forester jobs and close offices in Haines, Ketchikan and Juneau. This week, a House Finance Committee is examining the Department of Natural Resources budget. The committee is considering reducing the timber sale program and closing offices in Southeast. Closing the Haines office would mean the eliminating the two forester positions here. “I don’t know what the prospects are but certainly I’m concerned,” said Haines forester Roy Josephson. In addition to the 13 state forestry jobs, the cuts would nix 10 student intern positions, he says. KOKEE, Hawaii — The state has started cutting down trees on 300 acres of Kauai forest reserve that were scorched by wildfire in 2012 and sending the wood to be processed at a new biomass-to-energy plant. 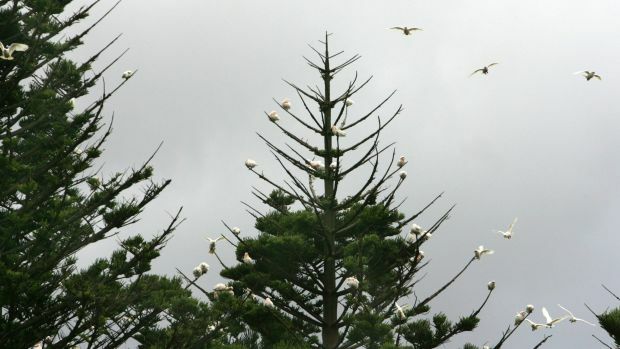 Some 15,000 tons of eucalyptus and pine trees will be removed, The Garden Island (http://bit.ly/1wJVfP0 ) newspaper in Lihue reported Thursday. Native and non-invasive species will be planted in their place. The project aims to prevent flooding and erosion and limit damage caused by three blazes that burned about 4,000 acres in the Kokee area. The state will use the $300,000 to $500,000 it gets from selling the logs to the Green Energy facility to plant trees. News media and people around the country are jumping all over U.S. Sen. Jon Tester of Montana for a blatant lie he told to the press. He was awarded four Pinocchios by the Washington Post, their highest rating for important liars in the public eye, and they don’t give those things away. What he said was that every timber sale in Montana was in litigation when, upon authorities checking his statement, it was found he was off by 96 percent. So it was four sales out of 100, not 100 out of 100. OK, fine: statistics. Could be just an error, right? Maybe his research and fact people let him down, so his truthiness was a little lame. Is that necessarily his fault? On Wednesday, the Dogwood Alliance announced support from 30 Georgia business owners, non-profits, and civic leaders for its “Our Forests Aren’t Fuel Campaign.” More than a million tons of wood pellets are shipped annually from Georgia to Europe where they’re burned as a supposedly greener alternative to coal in power plants. But there’s growing scientific doubts about how green the practice really is, especially if the fuel must be shipped great distances and whole trees are used, as is sometimes the case in the Southeast. Some analyses have shown the use of biomass could increase carbon emissions compared to the coal it’s supposed to replace. Most forests in the eastern U.S. ?are young and growing fast. A new study published this week in the journal Ecology shows the potential for younger forests to maintain their valuable carbon ‘sink’ capacity for many decades to come — but not in the way you might expect… They found that the old-growth forests store 30% more carbon than surrounding younger forests. And a striking amount of that carbon is found in dead wood – in downed logs and standing snags. In fact, there was eighteen times more carbon stored in dead wood in the old-growth stands (almost 20% of the total carbon stored) than in the younger stands?. An important food resource has been disappearing from streams without anyone noticing until now. In a new study published March 6 in the journal Science, a team of researchers led by University of Georgia ecologists reports that nutrient pollution causes a significant loss of forest-derived carbon from stream ecosystems, reducing the ability of streams to support aquatic life. The findings show that the in-stream residence time of carbon from leaves, twigs and other forest matter, which provide much of the energy that fuels stream food webs, is cut in half when moderate amounts of nitrogen and phosphorus are added to a stream. Labor is promising to scrap the Coalition’s biodiversity offset program that allows miners to compensate for habitat destruction often far from the mine, a pledge welcomed by conservation groups. 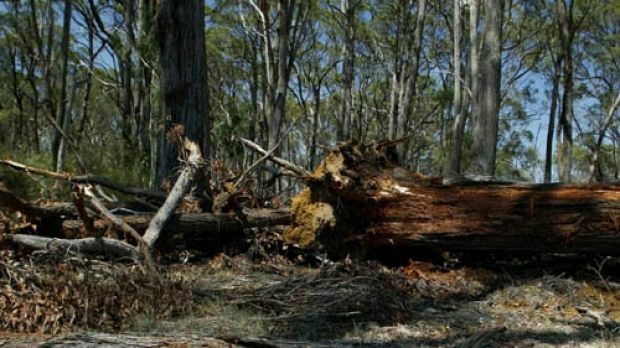 The current Biodiversity Policy for Major Projects introduced last year by the Baird government is allowing an “unjustified loss of habitat and wildlife”, Labor said in a statement. A revised policy under Labor would limit offsets to “like-for-like” land “within a reasonable geographic proximity” of the area being cleared. Outcomes would avoid so-called net-loss outcomes, and recognise that some lands are of too valuable to be disturbed, Labor said in a statement. The forest industry has launched another initiative in its efforts to reduce the number of deaths and injuries in New Zealand’s forests. The Safetree project, unveiled at the forestry safety summit in Rotorua this week, includes a new website. Project manager James Treadwell said it was designed to be a one-stop reference shop or umbrella service that anyone in the industry could go to for the information they need to make their operations safe. “What we’re asking all the forestry people to do is to sign up as individuals and say whether they’re a tree feller or a forest owner, or a breaker-out or a manager and we will be pushing the relevant information for that audience in a way that they can understand. SEOUL, South Korea –Tree Planet, a social venture in Korea, launched ‘Star Forest’ project, establishing forests named after celebrities, such as G-Dragon Forest, Girls’ Generation Forest and EXO Lay Forest. ‘Star Forest’ is an eco-friendly project of Tree Planet, fundraised from fans of K-pop stars including EXO D.O and Big Bang. So far, around 40 forests have been created across the world including Korea, Africa and India. Star Forest is a special gift for both celebrities and their fans because the trees planted in each forest keep growing and fans can visit the forests named after their favorite stars anytime. The most successful invasions are achieved by stealth. The invaders quietly infiltrate, helped by local stooges, until too late the natives realise foreigners are everywhere, part of the scenery, putting down roots, digging in. So it has been with Australia’s biggest feral pest. Not the rabbit or cane toad: they’re relatively small beasties and well recognised for their trouble. Our biggest feral by far is the Norfolk Island pine, the giant weed steadily taking over the nation’s coast line, lording it over the native flora, dominating skylines, raising a wooden middle digit to us all. New research, commissioned by worldwide lobbying organisation ‘Two Sides’, has revealed that major global corporations are still using inaccurate and misleading environmental claims to encourage consumers to ‘go paperless’ and switch from paper-based to digital communication. This is despite legislation being introduced by the advertising standards authorities to protect the consumer from being misled. The survey, undertaken in February 2015, showed that in the UK, there is still a significant proportion of financial service organisations, energy, gas and water suppliers and telecoms businesses that are still making false environmental claims. Similarly, research in the US shows a similar picture with half of the leading Fortune 500 companies in the same sectors were doing the same. A long-discussed biofuels plant — where woodland scraps would be turned into jet fuel — is closer to being built in Lakeview. Red Rock Biofuels, based in Fort Collins, Colorado, hopes to start building this summer or fall, depending on when the company secures financing for the $200 million project and receives local, state and federal permits, the company’s CEO, Terry Kulesa, said Thursday. “It is about an 18-month schedule so we are looking (at finishing construction) at the end of 2016,” he said. The company received a $70 million federal grant in September to help fund the building of the plant. That same month it also made an agreement to eventually sell Southwest Airlines 3 million gallons of renewable jet fuel a year. Red Rock Biofuels held a public meeting about the plans for the plant earlier this week in Lakeview. Louisiana could earn up to $1.6 billion for coastal restoration projects over the next 50 years by selling credits for storing carbon in wetland plants and soils, according to a new study by New Orleans-based Tierra Resources, Entergy Corp. and the ClimateTrust. The credits could be sold by private landowners and businesses in Louisiana that create their own restoration projects or participate in publicly-financed projects. Buyers would include businesses that must reduce carbon emissions in California under the nation’s first “cap and trade” program aimed at reducing greenhouse gases, said Tierra Resources president and chief executive Sarah Mack.